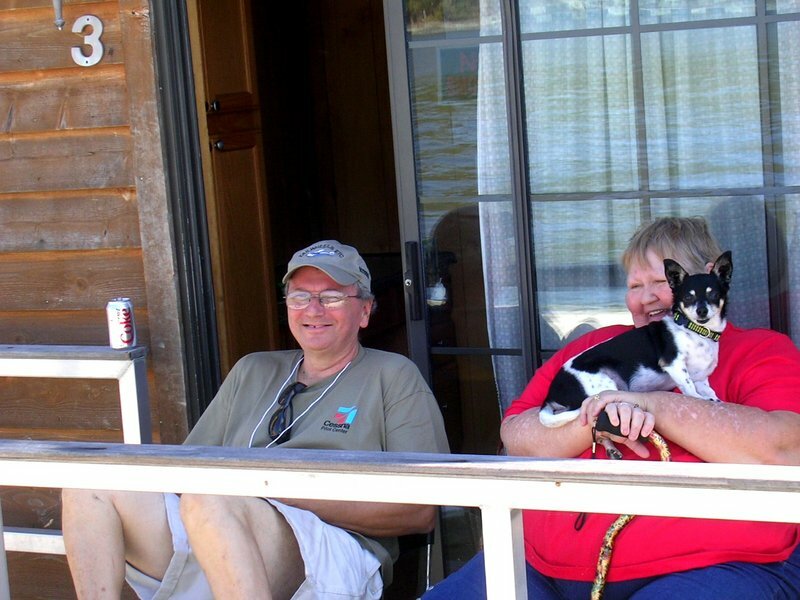 One reason for building your own boat is getting exactly the boat you want, which presumes finding a perfect stock plan – an often difficult if not impossible quest. The other alternative is to commission a custom design. But most don’t want to pay the price. The solution? Find a stock plan that comes as close as possible to what you want and change it accordingly. If the changes are extensive, you should at least contact the boat’s designer to see if such changes are feasible. If so, you may want to hire him to make the changes if you feel they are beyond your ability without supplemental drawings. Although we’ve done this sort of modification work over the years, most still don’t want to pay the price which is typically more than the nominal plans price if still much less than a custom design. But luckily, most changes can be carried out by the builder himself, even by those with little or no experience, and often with little or no consultation between the builder and the designer. I’ll explain which and how such changes can be made on your own, and which should not be attempted and why. Some changes – while seemingly complex to the novice – are actually more cosmetic. When selecting a design, keep an open mind and develop some “vision” about boats. For example, you may be looking for an open cockpit design of a certain size or hull-type, but can’t find a stock plan. In this case, expand your search to include cruisers in the size and hull-type you want. It may be feasible to simply omit the cabin and build the boat as an open cockpit (but do discuss it with the designer first). Conversely, if you want to add a cabin to an open cockpit hull, you should probably consult the designer to insure that the hull can support the added weight, that your layout won’t upset the balance of the boat, that there is space to suit the arrangement, etc. Generally, if your changes involve adding weight in an upwards (vertical) direction, you should also seek professional advice since such changes can have devastating effects on stability and safety if too extreme. The most common change requests involve size. A most important thing to remember is that a boat hull is NOT a box – it has shape and form, and must do certain things; not just sit still. A seemingly simple matter of adding or subtracting an inch here or there can have complicating effects that the novice may not realize. For example, while adding or subtracting length is usually easy, changing beam and depth is usually not, and the effects can be serious. As a rule of thumb, most (but far from all) boats can be varied up to about 10% plus or minus (see Fig. 1). 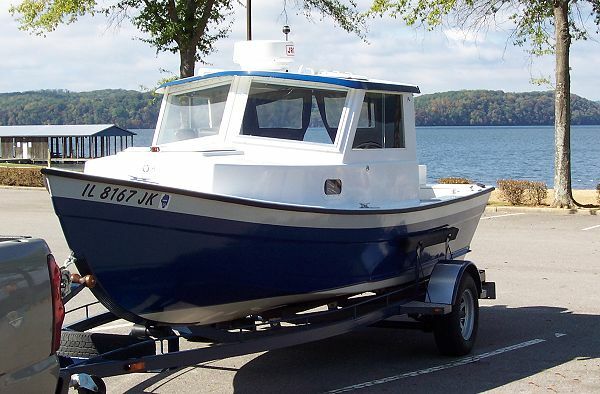 In other words, a 30′ boat could probably be built as short as 27′ or as long as 33′ with little problem. But there are some exceptions as I’ll explain later. Fig. 1 shows a hull with equally-spaced transverse stations. Changing the length of the boat is simply a matter of adding or deleting an equal number of inches from each station space. Often these stations correspond to frames thus making length changes on most framed boats straight-forward. Note also how the boat’s center of buoyancy (CB) stays in relatively the same position (you’ll see why this is important later). FIG 1 – Changing length is most easily done by respacing stations or frames a proportionate amount to keep the CB and other elements in relatively the same positions. 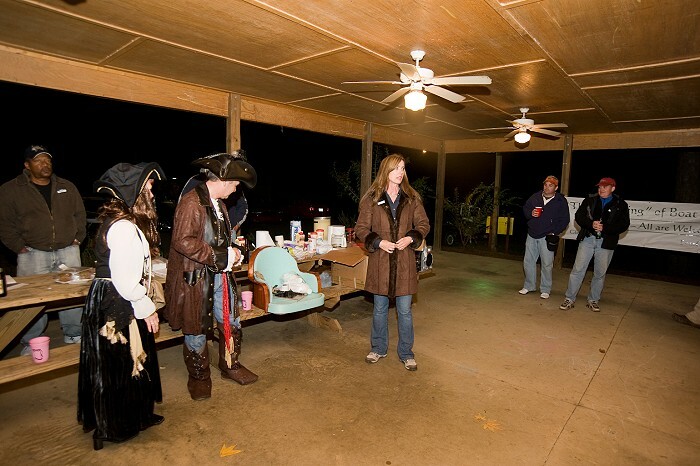 This 30′ boat with ten 3′ stations has been increased 30″ by adding 3″ to each station. There are some cases, however, where boat length should not be altered, at least without professional advice. First is sailboats. The problem here is that there is a definite relationship between a sailboat’s center of lateral resistance and center of effort of the sail plan in order to maintain helm balance (see Fig. 2). 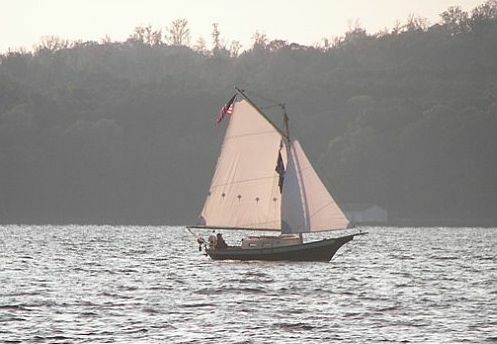 Also, the ratio of wetted area of a hull (drag or resistance) to its sail area (the “horsepower” of the boat), as well as stability, must be taken into account. Thus, if you alter length, you may also need to alter the rig and ballast to compensate. 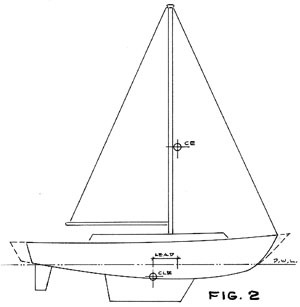 However, as also shown in Fig 2, it might be possible to add length to a sailboat hull ABOVE the waterline by increasing the overhangs, in effect, increasing on-deck length but not waterline length. Although not always practical or as simple as it may seem, theoretically an addition to the bow and or stern as shown by the broken lines would have little, if any, effect on the relationships just discussed. Another case where changing length is usually not recommended is with Stitch & Glue and some other designs where hull panel shapes are pre-determined, and where typical frames are not evenly spaced or even used in the boat. In these cases, there is no easy way to expand all the panel shapes proportionately so that they will match up exactly during assembly short of redesigning them which is much like creating a new hull. 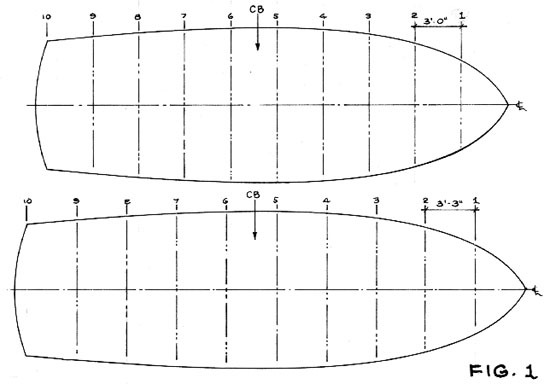 FIG 2 – With sailboats, the relationship between the center of effort (CE) of the sail plan and center of lateral resistance (CLR) of the hull underbody plane should remain constant. Changing length may alter this relationship. However, changing overhangs above the waterline is usually acceptable if the rig does not change. With boats based on pre-determined panels, some might want to add a foot or two to the aft ends of the panels, which seems simple if the boat is relatively parallel here. But the danger is that the designer may have planned the shape of the hull (especially the bottom) to have the boat’s hull entry area at a certain point, or have volume distributed along the hull in a certain way for balance, etc. If you simply add to the aft end of the panels, you could change the boat’s proportions and volume distribution in ways that could detract from the boat’s ride, balance, and performance. In other words, results could be questionable. 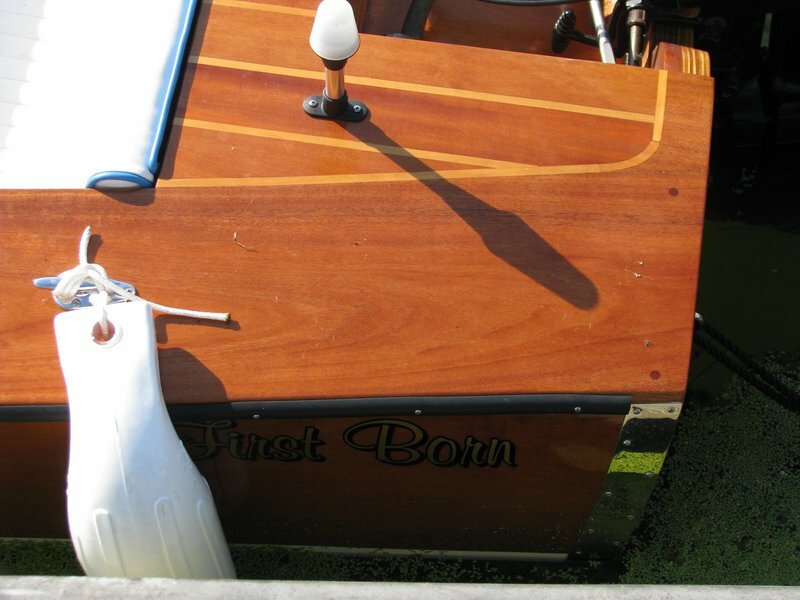 Generally, adding or subtracting frame spaces should be avoided on framed boats too. Again, a boat is not a box – it has curves and shape. If you attempt to add or delete a frame space – say in the middle of the boat – unfair lines are likely (see Fig 3). Not only will this look ugly – assuming the boat can even be built – but could also affect performance. FIG 3 – Adding or deleting duplicate frames amidship should generally be avoided. The boat from Fig. 1 shows an added frame space here resulting in an unfair flat spot that can affect appearance, performance, and construction. Of course, if a boat has parallel lines, such a change may be possible, which is often the case at the stern of many powerboats (see Fig. 4). But such changes must be approached with caution since hull lines may be subtle and not as parallel as they seem to the untrained eye. Then too, adding or subtracting a station at the stern will shift a boat’s CB, and if the underbody volume is not recalculated, it will be a guess where the CB has shifted, making it perhaps difficult to balance the boat. And the same problems as mentioned for the Stitch & Glue design could occur because you’ve altered the distribution of the hull’s volume and various proportions that affect performance. FIG 4 – Adding or deleting frames at the stern of some powerboats may sometimes be acceptable assuming parallel lines. But the position of the new CB, displacement, and other parameters may be vague if not re-calculated. Hull proportions, such as the entry point, will also be altered which could impair performance qualities. As for beam – or boat width – the best advice is DON’T, especially if it’s added below the waterline. Doing so could change a boat’s characteristics completely including all the hydrostatics (displacement, CB, CG, stability, etc.) as well as the boat’s performance characteristics. In effect, these changes result in a virtual new design of potentially different qualities (see Fig 5). 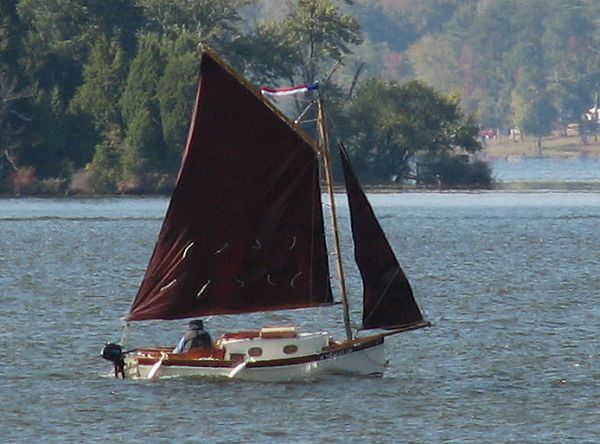 While structure-wise it may be easy to increase beam in, for example, flat bottomed boats such as dories, the statements about changing characteristics above still apply. Some builders attempt to change beam by altering the angle of the topsides while leaving the underbody unchanged. This may work on some boats, assuming the builder has some experience. But usually it means re-fairing the boat’s lines and redesigning frames, structures, etc. Such changes can be fraught with pitfalls. Of course, popping out the beam this way may also effect a boat’s stability, so such a change should be discussed with the designer in any case. FIG 5 – Adding beam should usually be avoided – it can change the very basics of a design if done below water, and require re-fairing of topside lines at the least, if done above the waterline. Some may also want to change the depth or freeboard of a hull (often in the fallacious belief that more freeboard automatically makes for a more-seaworthy boat). But because most boats have some flare to the sides, hull lines will again need re-fairing in the area of the sheer (“gunnel”), and there may be other considerations. While adding an inch or two of freeboard may seem innocuous, such a change will affect the sheer line – the most important line defining the aesthetics of a boat. Designers often spend hours working on this line to get it “just right” in all views, and nothing can spoil a boat’s appearance quicker than a botched sheer line. To complicate matters, this line typically has curvature in both plan and profile views. If you project the topsides along their angles (which are often ever-changing), the sheer in plan view will change. If you keep the sheer plan view fixed, then the topside angles will change instead. You have to pick which way to go and then re-check everything for fairness, and most beginners will find either approach complicated. Then too, on boats using sheet material for planking or plating, adding freeboard may add just enough inches to preclude using sheets of a standard or maximum available width (see Fig. 6). In such cases an extra joint may be required which can be unsightly. FIG 6 – Increasing hull depth or freeboard can also require re-fairing of topsides lines as well as lead to other problems not at first noticeable. Things get even more complex with round-bilge hulls compared to the hard-chine examples shown here and in Fig 5. What about changes to superstructure and cabin arrangements which may have nothing to do with boat size or shape? If such changes don’t alter location and/or size of major weight items such as tanks or motors, they can usually be made at will. But remember, a boat is like a teeter-totter in the water. The fulcrum is the boat’s CB. Weight located on either side of the CB when multiplied by their distance from the fulcrum point results in moments, and the sum of these moments in both fore and aft direction, should be equal, or nearly so. If not, the boat will trim (go down) by the bow or stern to some extent. So if the changes you want involve relocating such equipment and tanks, reconfirm hull balance first on paper by recalculating the moments. But take care when relocating tanks. Since their contents will vary between full and empty, their moments may vary considerably, especially if located at transom or bow. For this reason, tanks are usually best located at, or as near as possible to, the CB so that moments won’t vary as much between full and empty conditions. What about changing motor location? Hull design involves the distribution of volume below the waterline in such a manner that there is enough to float the boat at its waterline, while allowing the boat to float level with all fixed items aboard – such as engines – at their pre-designated positions. Consider boats with motors at the stern. Because motors are a major weight component, a designer must design the hull so there is ample volume below water at the stern to support the weight without undue trim changes. Conversely, boats with centrally-located motors will have their underbody hull volume arranged with more volume amidships to support motor weight here in a level attitude. As a result, it is usually NOT recommended that motor positions be altered in boats. For example, a plan intended for outboard or stern mounted inboard (I/O, jet, etc.) should not have the motor relocated amidships. 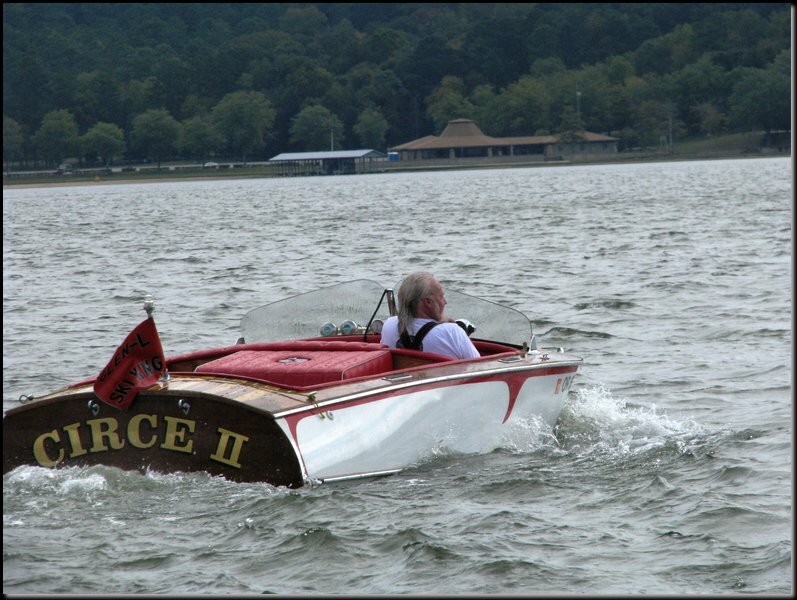 Likewise, a centrally-located inboard boat should not have the motor shifted to the stern. Often builders want the simplicity and reliability of an in-line propeller shaft set-up rather than an I/O or outboard. When this is the case, the motor should still be located at the stern and coupled to the shaft through a v-drive rather than relocating the motor amidships. You will then have the advantages of the in-line shaft/propeller set-up without throwing the hull out of balance which would happen with the motor amidships in a hull without enough volume here to balance out the load.